Free hands and a great visibility are indispensable for craftspeople. The multifunctional Worklamp can be placed nearly everywhere thanks to its two strong magnets at the bottom and the back and the twistable hook at the top. Seven different positions allow finding the perfect light angle. 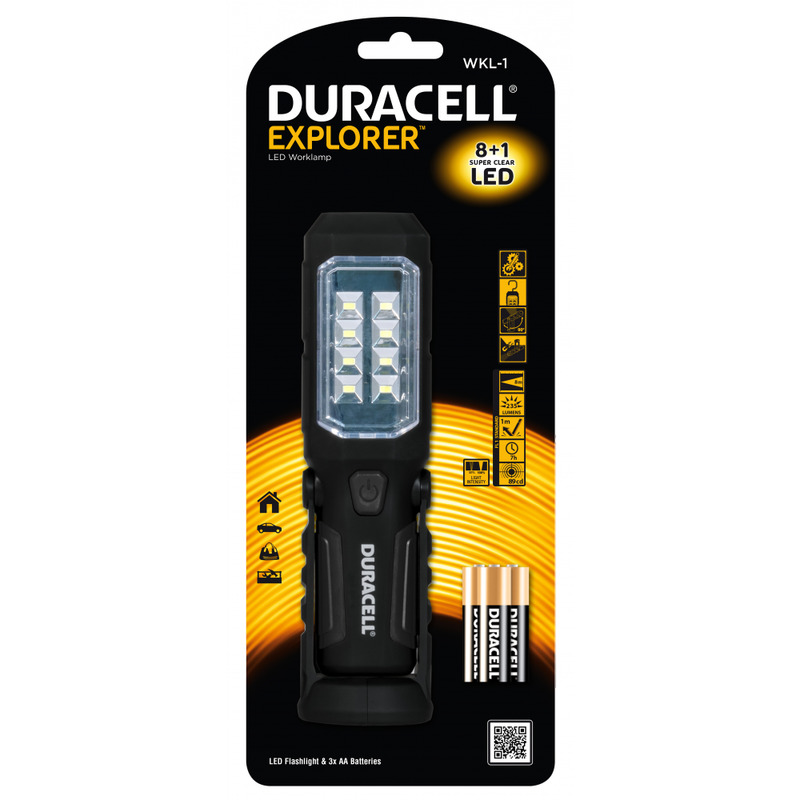 This multi-functional flashlamp is equipped with 8 SMD LED´s at the front and 1 super clear LED at the top. It provides up to 7 hours of light.